Vol.69 Ch.885 - It's Brulee! Vol.69 Ch.876 - Pudding Coincidentally Appears! Vol.69 Ch.854 - What The Hell Am I Doing?! Vol.69 Ch.853 - Not Here! Vol.69 Ch.815 - Take me with you!! Vol.69 Ch.749 - Forward! Ruffian Army! Vol.69 Ch.740 - I'm Counting On You! 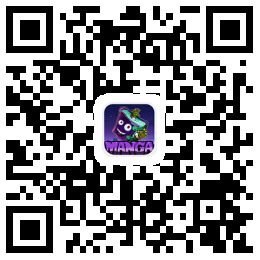 Vol.69 Ch.719 - Open, Chinjao! Vol.69 Ch.704 - "Lucy and the Statue of Kyros"
Vol.60 Ch.685 - Momonosuke, that is my name!! Vol.60 Ch.677 - Counter Hazard!! Vol.60 Ch.672 - My Name is Kinemon!! Vol.59 Ch.655 - "Punk Hazard"
Vol.58 Ch.641 - What Are You? Vol.58 Ch.602 - Rudder Straight Down!! Vol.58 Ch.587 - I won't run! Vol.58 Ch.573 - The Current Age Is Named "Whitebeard"
Vol.58 Ch.563 - One heart, One man. Vol.57 Ch.562 - Pirate Great Swirling Spider Squad! Vol.57 Ch.561 - Luffy VS Mihawk?! Vol.57 Ch.556 - Justice Will Prevail!! Vol.53 Ch.513 - I couldn't even...! Vol.51 Ch.495 - " The Gaon Canon "
Vol.49 Ch.474 - Gotta Do It! Vol.48 Ch.469 - Show Yourselves, Straw Hat Crew!!! Vol.48 Ch.460 - Get Her Back Before Dawn!! Vol.47 Ch.458 - Not the Afro! Vol.43 Ch.413 - The "hunter"
Vol.41 Ch.399 - Fly towards the waterfall! Vol.40 Ch.377 - The great decisive battle of justice island!! Vol.40 Ch.376 - I got it! Vol.39 Ch.365 - Rocket Man!! Vol.33 Ch.314 - COMBAT !!! Vol.33 Ch.307 - Ready~~~ Donut !!! Vol.32 Ch.301 - We came here! Vol.31 Ch.291 - We'll be here! Vol.25 Ch.231 - Daschund Binami! Vol.25 Ch.230 - The Hunt For South Bird!! Vol.20 Ch.178 - Level G.L. Vol.15 Ch.135 - A Man Named "Dalton"
Vol.15 Ch.129 - Heading Straight! Vol.11 Ch.090 - What Can You Do? Vol.05 Ch.039 - The Bell Is Ringing For Whom? Vol.01 Ch.002 - They call him "Straw Hat Luffy"